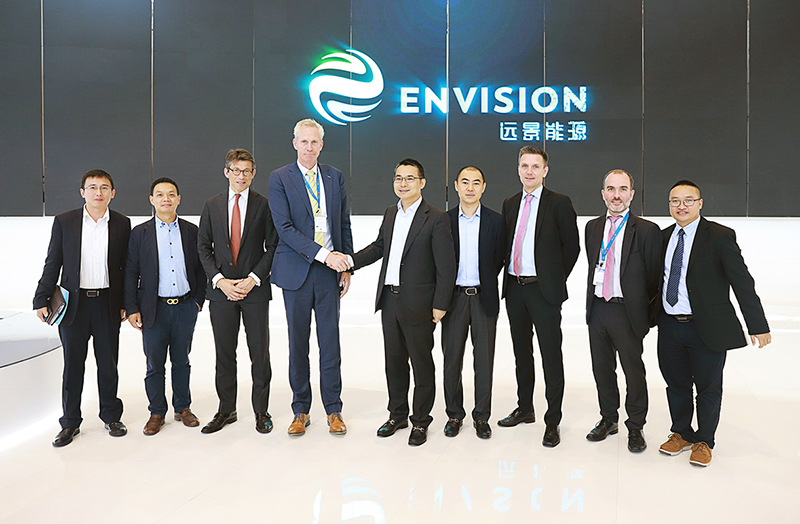 Envision CEO, Zhang Lei, and LM Wind Power CEO, Marc de Jong, shake hands to mark the announcement of the 71.8 meter blade to be developed for Envision, at China Windpower 2017 in Beijing. LM Wind Power announced today the signing of an agreement to develop a 71.8 meter blade for Chinese offshore leader Envision. The deal is followed by a supply agreement from LM Wind Power's Jiangyin factory in Jiangsu, China that will require the company to expand the manufacturing facility by 50%. Envision Energy stands by its mission of "solving the challenges for a sustainable future". The company is committed to creating a sustainable future by revolutionizing the energy industry through advanced technologies. Since its foundation in 2007, Envision Energy has maintained rapid growth in its business operations, becoming a top tier global provider for smart energy technologies and services, including sales of smart turbines, smart energy management software and technological services. Both its R&D and technological level hold leading positions in the world. Envision has always embraced challenge as an opportunity for innovative solutions.